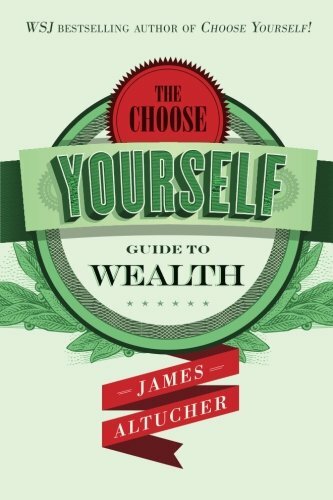 This is a bold book by James Altucher because he not only gives you a new map for the new financial landscape, but he also has skin in the game. This is the first financial book in which the author REVEALS HOW HE, PERSONALLY, MAKES HIS OWN MONEY. We are living in an epic period of change, danger and opportunity. The economy is crashing and booming every few years. People are getting fired and replaced by computers and Chinese workers. The stock market crashes with regularity. Every "fix" from the government makes things worse. The Old World has been demolished... and people are desperate for answers. James Altucher's "The Choose Yourself Guide To Wealth" contains those answers. This is the field guide to the "New World" we live in. You can play by the old rules and get left behind, or you can use these new ideas and become wealthy. This is not a book for the faint of heart. Read at your own risk, because sometimes the truth is hard to take. But for those who are ready to hear, James provides an updated map of the new territory for generating wealth and freedom. This book is the eye-opener of the century, it is the guide to building, keeping, and investing your money and breaking free from the chains of rusted, old thinking. Forex Trading Money Management System: Crush the Forex Market with Bigger Profits and Smaller Losses!